Like many of us busy coaches, going to a conference represents a time for reflection before we get back to to our respective roles. I had the pleasure to attend the recent Middlesex University Student S&C Conference which I believe is in it’s sixth year, with over 100 delegates in attendance. If you’re a Strength & Conditioning coach then this is the must go to event. I thought it would be appropriate to feedback a few of the key messages and applied methodologies presented at the presentations I made notes on. I will discuss two now and I’ll send you the remaining two in a week’s time so watch out for them every Friday! Limited availability of training in-season: 111 days out of 304 days, which doesn’t account for international fixtures so even less time for Premiership clubs to work with pros on S&C. It is imperative therefore to maximise use of small sided games (SSG). SSG can be effective for high intensity aerobic training but you need to be able to modify the rules to account for differences in players. Barry is actually moving away from SSG and designing Position Specific training drills. For example, a slalom course that replicates sport specific movements. Research at Premiership Academies shows that there is no further increase in training load from 15 years to 21 years in footballers. There doesn’t seem to be opportunities to further load them after they reach 15, and approach pro contracts. This typically amounts to 2 S&C sessions per week. Ideally he would like players to have several hours between football and S&C sessions but players usually don’t want to leave the training ground and come back in the afternoon. So they usually either have a short break or go straight into their S&C session after their football. We know that doing endurance training after strength training can ‘blunt’ the neurological response. But some times you might want endurance to be the focus, in which case this may be desirable if metabolic gains are a priority. Also consider that performing a football session followed by an S&C endurance session in glycogen depleted state may limit availability of energy and increase aerobic performance. He said the GPS data has measurement issues as it is not sensitive enough to all the small changes in movements. (Interesting side note- my friend Alex Cockram said that the EIS are using joint position tools to measure knee angle to indicate how many lunges and decelerations take place in badminton as a way to gauge mechanical load!!! Doing high training loads (say >6000m running versus >1000m) limits player availability for the next weekend. Survival in the game is about social skills not just coaching skills! Are you ‘Organisationally Socialised‘ to understand the world through other’s eyes and manage relationships with key stake holders in the sport. They may appear to want to work with you but behind your back they may be looking to get you out. 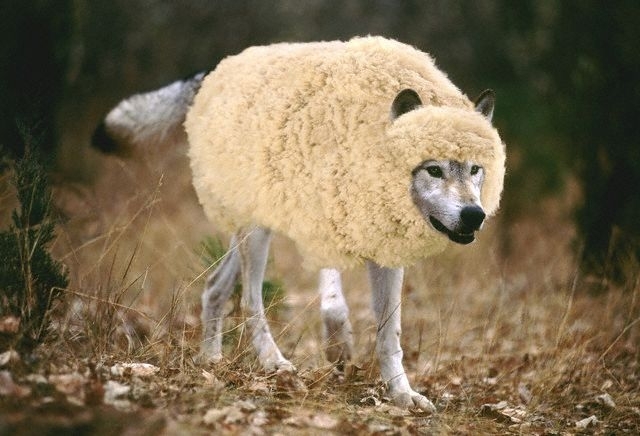 Be aware of a wolf in sheep’s clothing. Dave works in consultancy, research and teaching and in his role the University expects him to develop viable businesses that can justify his salary. In simple terms he needs to earn the university double his salary! So this talk was a bit of a philosophical look at building business, friends and success. He recommended we check out the book ‘Checklist Manisfesto’ (Atul Gawande). It talks about the importance of using checklists in business to make things work more efficiency. Often things go bad not because you don’t know something but because you fail to apply the knowledge! Remember, wisdom is the application of knowledge! This is a good way to help you reflect on situations (incidents) that were either positive or difficult. What were you thinking? How did you feel? What action did you take and what do you learn from it? To stop meetings getting boring and keep them productive Dave always applies a few simple rules. Rather than setting an agenda in advance, it is useful for the chairman of the meeting to agree the Top 3 Questions the group will discuss in the time allocated for the meeting, and set a time frame to discuss each question. There will be a time keeper to keep the people to time and a Yellow card will be issued to anyone who goes off topic!!!! Why you shouldn't train athletes like body builders! 1st4sport offer over 285 qualifications delivered by over 850 centres, including 192 coaching qualifications, in 39 sports! APA are very proud to say we are one of those endorsed centres qualifying coaches in the Level 2 Certificate in coaching Strength & Conditioning for Sports (L2CCSC). Had a great 4 days on the Level 2 S&C course with APA, the course was delivered in a fun, practical and easy to understand manner in a great learning environment. Any questions/problems I had were quickly sorted face to face or via email with the course leader. ” Nathan Atlay. “I would like to thank you for all your work and helping me getting my Level 2 in S&C. I am now confident to safely deliver a program helping my athletes to get stronger and faster and most of all to stay injury free for as long as possible. The course you delivered highlighted my lack of sufficient knowledge in the science behind the S&C and thank to you I will be able to rectify this.” Sebastien Scaux. If you are interested on finding out more about the next Level 2 qualification then click HERE for more details. In the mean time I thought I would discuss a topic to give you an idea of what kind of things we discuss. We get lots of questions from the candidates on the course so I thought I would try and answer a common one in this post. What do you recommend for training? Or train everything during the same session? Maybe with an emphasis on a group of muscle? And in term of periodisation how much strength would you have compare to SAQ? I personally think it would more strength at the start of a cycle leading to more SAQ when getting close to competing. Well let me start by answering the first part of the question. The type of approach to strength training prescription you are describing there is something we call ‘split routine‘ training. This is widely used in the sport of body building. It is important to remember that in our pursuit of athletic performance in certain sports such as tennis, football and rugby, S&C coaches have sought to learn from those sports that are the best in the business at getting strong, powerful and defined. Body building– the best at developing the physique of the body. Bodybuilding is the use of progressive resistance exercise to control and develop one’s musculature. An individual who engages in this activity is referred to as a bodybuilder. In competitive amateur and professional bodybuilding, bodybuilders appear in lineups doing specified poses, and later perform individual posing routines, for a panel of judges who rank competitors based on criteria such as symmetry, muscularity and conditioning. Going back to your original question I would say that split routines are effective for making physique gains for those athletes who are in pursuit of symmetry, muscularity and conditioning. The split routines are exactly are you describe it, usually working one or two muscles per gym session. The exercise prescription usually uses sets and reps schemes we would associate with ‘hypertrophy.’ This is a specific type of strength training that we associate with training adaptations that result in increases in the cross sectional area of the muscle. So the question is should we train athletes who play sports like body builders? For the majority of athletes my response is…… No! But like most things in life it depends! I think it’s important to distinguish between functional and non-functional hypertrophy. If you type these terms into the web you’ll get lots of articles on this topic. Click HERE for a nice summary of Functional Hypertrophy from the Poliquin (Charles) Education Team. Functional hypertrophy is muscle growth that is strategic so that it grows your muscles in a way so that it will improve physical performance. The problem with body building routines? The issue is that most body building routines could be considered examples of sessions designed to build non functional hypertrophy! Body builders may have the most impressive physiques but they are not the strongest. They train you to get big but slow! A functional hypertrophy technique that I teach at my Hypertrophy Bootcamps is the use of Giant Sets. A giant set is a group of four exercises that target one part of the body. For instance, a lower body giant set would be eccentric-enhanced squats, followed by heel-elevated squats to isolate the quads a bit better, followed by lunges, followed by trap bar deadlifts. This is an excellent way to shock the lower body into getting stronger and it will also train cardiovascular fitness. It triggers a robust anabolic hormone response and is particularly effective for boosting growth hormone and insulin-like growth factor-1. Training giant sets and using related training techniques such as varying tempo is the best way to subject your body to something it’s not used so that it has to adapt. The variation of tempo is a complex training strategy in which you alter the amount of time spent on different parts of the lift such as doing eccentric-enhanced squats that use a slow tempo (4 to 6 seconds) for the down motion and a fast tempo (explosive) for the up concentric motion. I think that what Poliquin described above could definitely work as an upper body-lower body split routine. Doing squats (knee dominant bilateral pattern), lunges, (unilateral hip dominant pattern), deadlift (bilateral hip dominant pattern) respects APA’s first principle of training movements not muscles. Sometimes you need an unbalanced programme to balance out the body. So often athletes are over dominant in the push and knee dominant movements and weaker in the pull and hip dominant movements. The example above is well balanced so if someone is very knee dominant you could tweak that to emphasis more hip dominant exercises. Finally, it uses variations in tempo from slow eccentrics to explosive concentrics to work both the strength and power ends of the force-velocity curve. http://athleticperformanceacademy.co.uk/wp-content/uploads/2015/05/APA-Logo1-300x156.jpg 0 0 darren.drake http://athleticperformanceacademy.co.uk/wp-content/uploads/2015/05/APA-Logo1-300x156.jpg darren.drake2015-03-13 16:46:082015-03-13 16:46:08Why you shouldn't train athletes like body builders! 5 days left to apply for a full-time job with APA! Read the advert below for full details. The closing date has been moved forward to next Wednesday 11th March. For those of you who know anything about APA, you will know our biggest contract is with Gosling Tennis Academy, so we are really experienced with working with elite tennis players. Normally we can only offer part-time self-employed work with APA at Gosling Tennis Academy. However, Gosling Sports Park have decided to create a couple of employed roles which will be made up of gym instructing in the commercial gym and strength & conditioning with APA. This is great news for APA because it means we can offer the successful candidate a full-time opportunity. So if you think you have what it takes to be a great member of the APA team then get your CV to Carolyn asap! http://athleticperformanceacademy.co.uk/wp-content/uploads/2015/05/APA-Logo1-300x156.jpg 0 0 darren.drake http://athleticperformanceacademy.co.uk/wp-content/uploads/2015/05/APA-Logo1-300x156.jpg darren.drake2015-03-06 10:01:152015-03-06 10:01:155 days left to apply for a full-time job with APA!